Your tone starts with your strings. That’s why Stringjoy will always let you hand pick your string gauges—so you can choose the perfect strings for your bass and your playing style. Want a .020 on the top and a .145 on the bottom? We can do that. I wouldn’t recommend it, but we can do it. 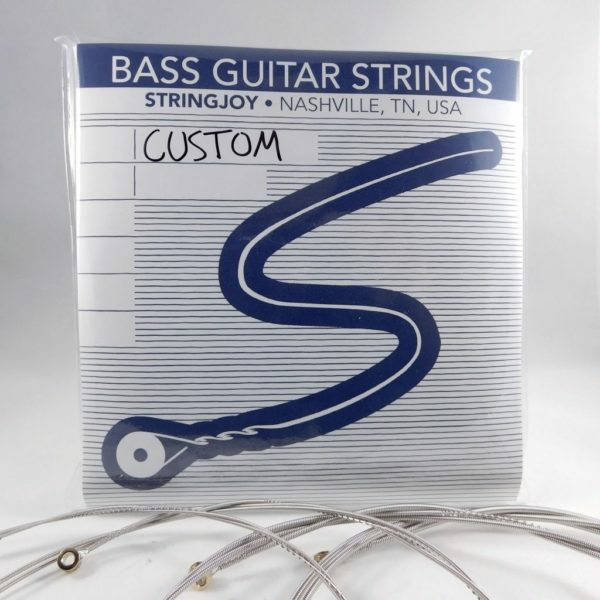 Want each string to be a .060? I’m not sure why you would, but we can make it happen. Once you’ve settled on the right gauges, just hit the blue button below to add ’em to your cart. Need some help finding the right set up? No problem. >> Rick from Rathdrum, Jon from Elton & 35 others bought this item recently.